Spring has finally sprung! Now is the time to start thinking about getting that beach body ready. All that hard work won’t go unnoticed; but keep in mind that although a nice slim body will increase your self-esteem, a face not cared for can do just as much damage. A person’s face is what stands out, and cannot be hidden by clothes, so having a face full of acne is sure to make one self-conscious. As a grown adult, sometimes it is difficult to overcome those insecurities, let alone being a pre-teen who is going through puberty, acne, and hormones for the first time. Therefore, here at Excellent Esthetics Spa, we encourage pre-teens to come in and to have a facial done from time to time. 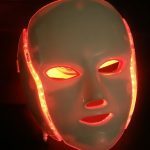 Getting facials done at a young age has many benefits. The first, being that it starts a good habit with the pre-teen. Although, using products at home is a good start, an individual may need more than a cleanse, and may need extractions. 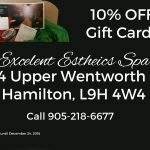 An Esthetician will also be able to recommend what is best suitable for you; with thousands of products on store shelves and in ads on tv, it can be a little overwhelming and difficult to pick a product. Especial one that is suitable for your skin type. Furthermore, facials deep clean an individual’s face by cleaning out clogged pores and black heads that are caused by oil production. Another benefit of having a facial done at a young age is that the Esthetician can educate the pre-teen on the Do’s and Don’ts of face cleaning. Some people are too forceful when washing their face, which may cause redness and aggravate areas of the skin, and existing pimples. They don’t realize that it is their routine that is in part contributing to the problem. Also, people tend to touch their faces, whether it is out of nervousness or habit. It is imperative that a healthy, cleaning routine is instilled in pre-teens at a young age. Most people don’t think about their skin in the future, however, starting early can reduce the view of wrinkles as one progresses in age. 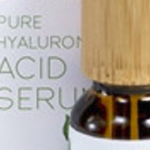 You can read a review from a cystic acne sufferer here. Application of a moisturizer completes the treatment.